A check this week shows that my short guide to Cloud and Web services is still a very popular read. We Live and Breathe in a Fish Tank we Pollute. Paralympics Start March 7. Free Android App to Follow Paralympics and other sports 365 days/year. 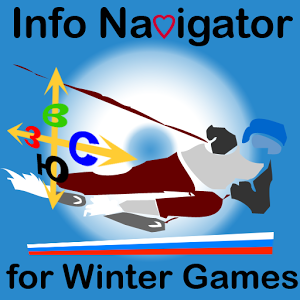 This FREE Android App links you to information for world wide amateur and pro sports, including the Paralympics, Olympics, and Special Olympics events. Between major games, the App continues to provide news on amateur and professional sports worldwide. This App helps you stay connected to IOC official websites, Facebook, Twitter and YouTube feeds. Also, major world sports media outlets that report on the games from the United States, France, Canada, Australia, and the UK.